Welcome to the official site of the Pan-Galizan Druidic Fellowship (IDG). The IDG is an officially registered religious association formed by those who follow the path of the Galizan Druidic Tradition. This Fellowship welcomes Druidic believers (Druidists) so that they can observe the Celtic calendar in community, request and take part in religious services, and receive advice and information. Likewise, as a collective, we aim at sharing a number of timeless values and teachings which, we think, can be useful in today’s world. The IDG shares the main principles of Druidry elsewhere but focuses on the own Galizan Celtic legacy, as we consider Callaecia (Galiza proper+North Portugal) to be the original home of the Atlantic Celts. There is indeed a continuity in the beliefs, folklore and Galizan character that can be traced back to – at least – the times of the ancient Pan-Galizan Celtic civilisation. In this way, the IDG pays paramount attention to historical accuracy and documented evidences. Nonetheless, IDG’s view of Druidry adapts to the contemporary world in order to avoid anachronisms and make it relevant to Druidists today. The IDG welcomes all, and yet we encourage everybody to seek out and investigate serious Druidic groups close to them since we consider community and local – “hands-on” – action to be of the utmost importance and fundamental to true Druidic practice. >Do check here< all further bilingual or English-only publications (in chronological order, most recent first), including the Nine Rules of Demeanour or the perspectives on Druidry essay (pdf, 85 kb). You can follow us on Facebook, Twitter, YouTube and Instagram, where English is also used. We are always happy to answer any questions or solve any doubts. PS. The IDG operates a ZERO TOLERANCE policy towards animal cruelty, racism, sexism and homophobia. For more information read our Bigotry warning. The IDG is a non-profit organisation. All collected funds are used exclusively in the maintenance of the organisation itself and, when possible, saved for future contingencies or long term projects. Members do not pay any regular fees nor money is ever asked from them. The IDG is supported solely through voluntary donations and merchandise. 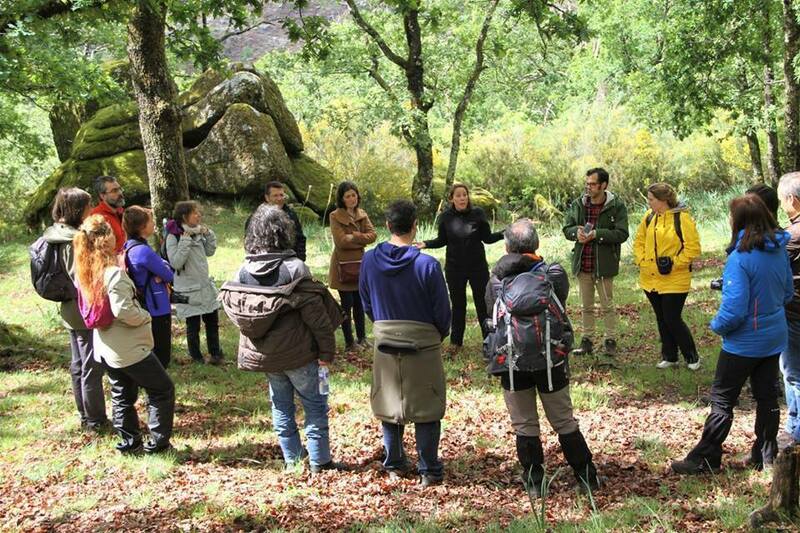 The IDG is a proud member of the Galizan Cultural Heritage Network. The Fellowship offers rediscovering and walking the Celtic spiritual path together. It is a place for study, debate, work, service and celebration. We organise, support and collaborate in open events such as public festivities, religious services, research seminars, conferences, cultural events and so on. You can join us and you can help us. Гализа, колыбель кельтов, дом Друидство. Γαλικία, λίκνο των Κελτών, σπίτι του Δρυιδισμού.